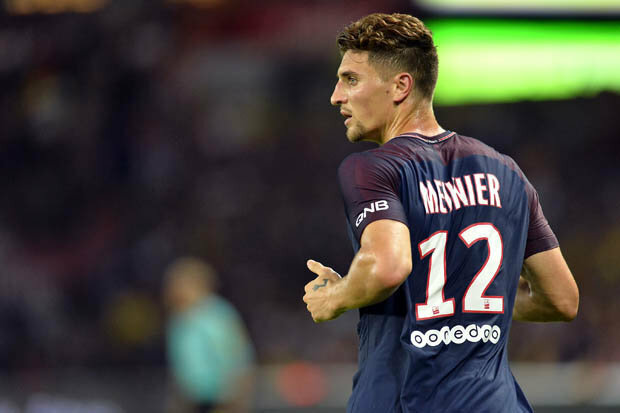 PSG footballer Thomas Meunier got an injury during the Ligue 1 game against Bordeaux and he won’t be able to help his club in the Champions League clash with Man United. This is excellent news for the Red Devils as Neymar and Edinson Cavani also have an injury and Parisians have big problems in the squad. Belgium international has an impressive season and proved his greatness one more time. Probably Dani Alves or Thilo Kehrer will back-up him. Thomas joined the French club from Brugge in 2016 with a €6m deal. He is one of the best right-backs in Ligue 1 and unchanged figure for the club. In this campaign, Meunier already played 23 matches, scored 4 goals and made 5 assists in all competition. This is an amazing result and he can improve his consequences during this season. The 27-year-old defender is contracted with the Parisians until 2020 and his release clause is around €35m. His price could increase and become much more during this campaign. Belgian footballer is a regular member of the national team and also helped them to finish the 2018 Mundial in a third place which is already a big achievement for the player. Man United have to use this situation as PSG have many injured footballer and the English club have a big chance to reach the quarterfinals. Solskjær already amazed supporters with Premier League consequences and planning to win titles with his new club. Paul Pogba and Marcus Rashford are in a fantastic form and they can score important goals tomorrow.